Exploring Research makes research methods accessible for students – describing how to collect and analyze data, and providing thorough instruction on how to prepare and write a research proposal and manuscript. 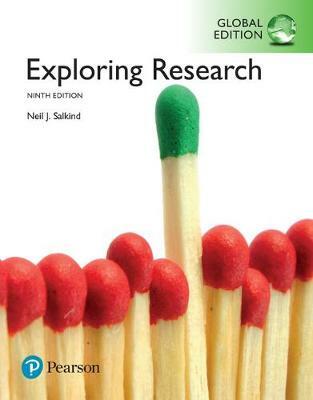 Author Neil Salkind covers the research process, problem selection, sampling and generalizability, and the measurement process. He also incorporates the most common types of research models used in the social and behavioral sciences, including qualitative methods. The Ninth Edition explores the use of electronic sources (the Internet) as a means to enhance research skills, includes discussions about scientific methods, and places a strong emphasis on ethics.